A Home of Her Own! Remember this face?? It’s Maylee! Team Summer kid Alyssa made her a rabbit at Alyssa’s Team Summer Build-a-Bear party! And guess what? Maylee had already been selected by another Team Summer kid to get a Team Summer gift, and this is the story about that gift! 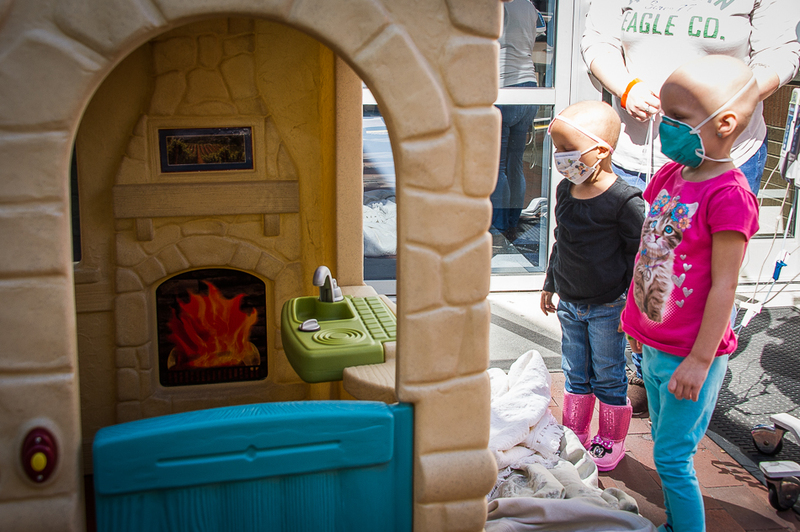 Maylee is only four years old, but she’s already been through so much. Since being diagnosed with leukemia last September, she’s had five bone marrow biopsies, four spinal taps, and four rounds of chemo. 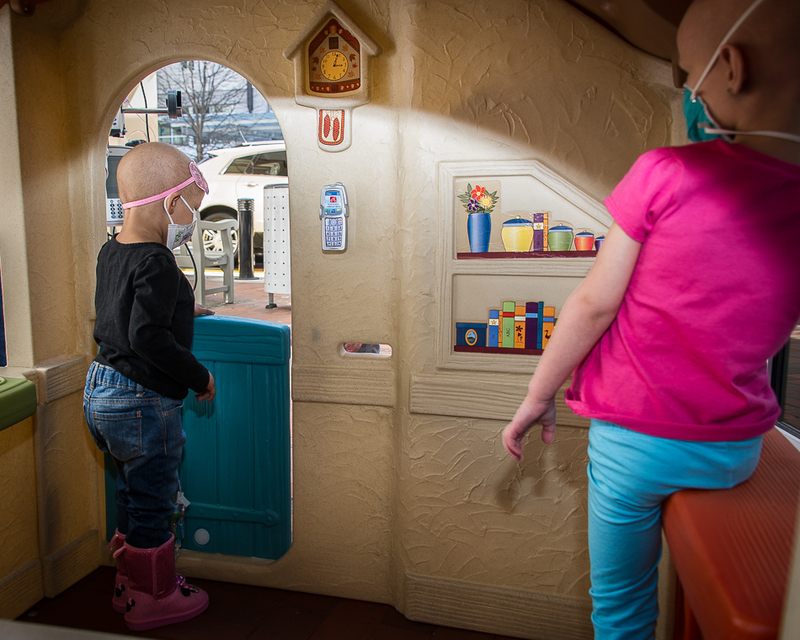 For the first round of chemo, she had to spend six weeks in the hospital; the second round, five weeks; the third round, five weeks; and the fourth round, four weeks. 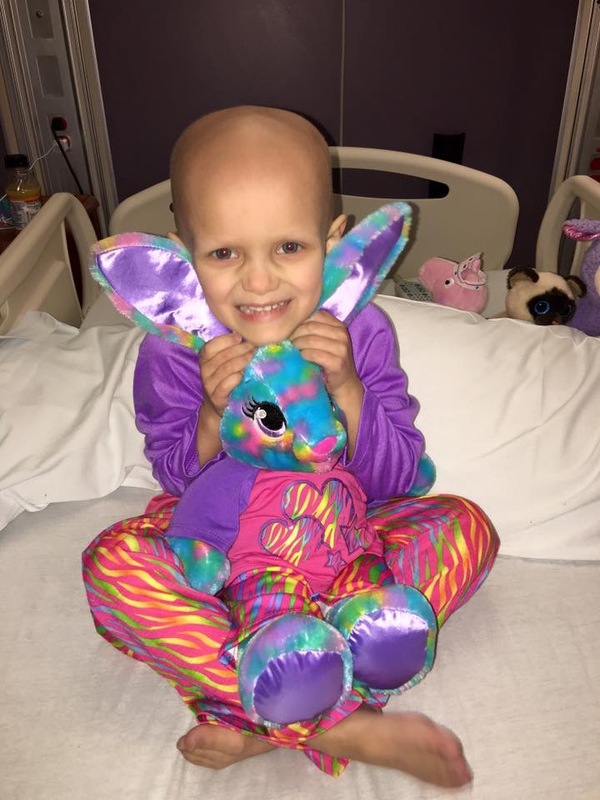 Her mother told us that the hospital was beginning to feel more like home to Maylee than home did, and that Maylee was having anxiety about going home and being home. Listen to what three-year-old Team Summer kid Mykenzi did to help change that! She met Maylee at the hospital. 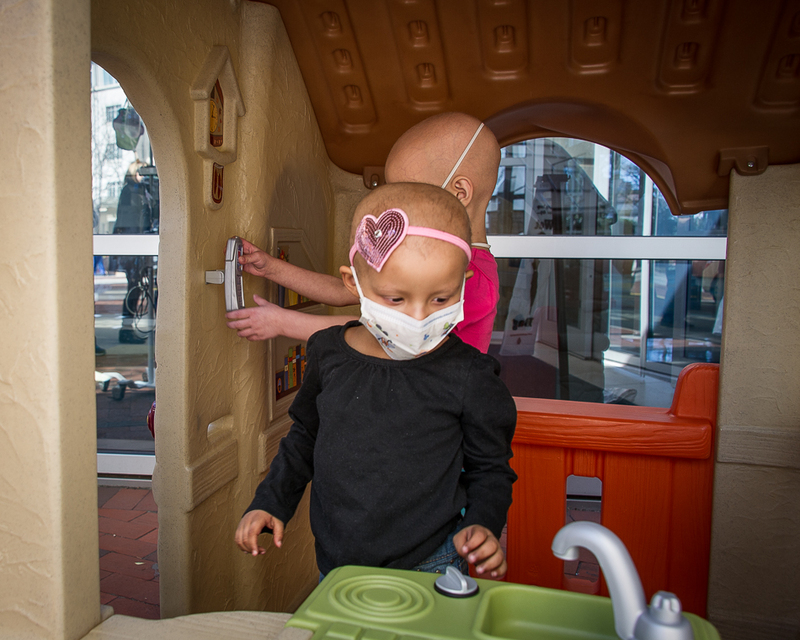 Battling neuroblastoma herself, she knows all about being stuck in the hospital. She wanted to cheer her friend up. Since neither kid could leave the hospital, we brought Mykenzi’s Team Summer gift for Maylee right to the hospital…well, just outside the front door, because it was pretty big! It’s Maylee’s very own little house! Look what Maylee is pulling off the wall! Yup, this house comes with its own cellphone! Okay maybe IT doesn’t work, but in the girls’ minds, it absolutely does! Even under her mask, you can see Maylee’s smile! 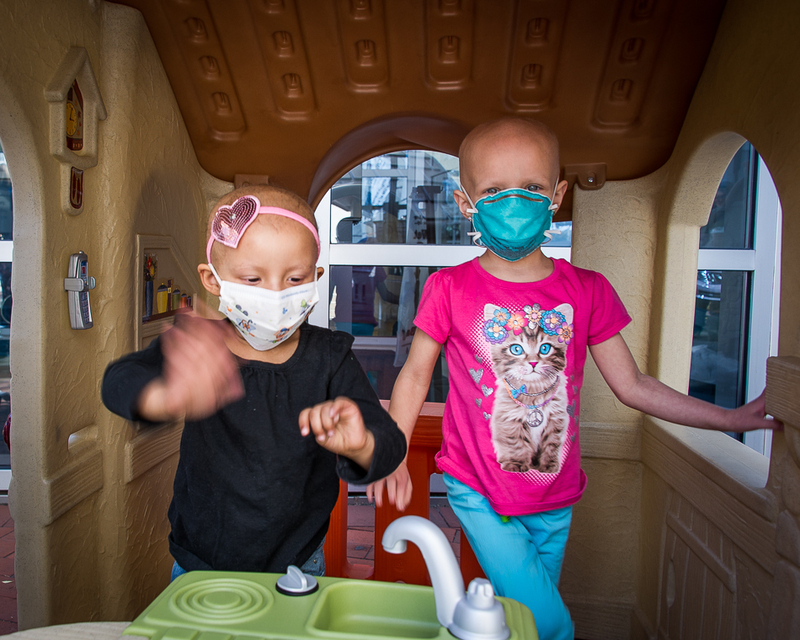 The girls played for awhile, and then it was time for them to go back inside the hospital. 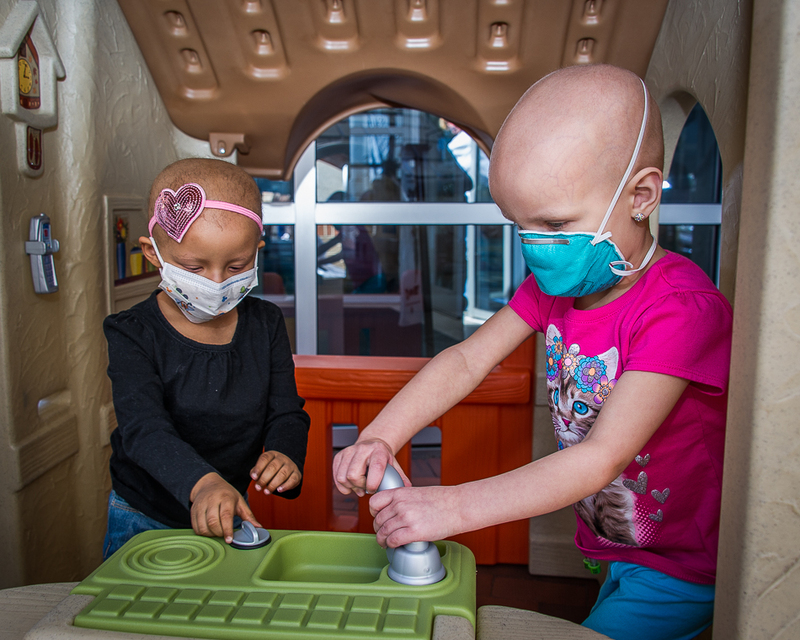 They both seemed okay with it, because they were going in together…new Team Summer friends who share a unique understanding of what it’s like to be a kid with cancer. One more thing: Remember how we told you that Maylee was having anxiety about being home after spending so much time in the hospital? Her mom told us that she had been afraid to be alone in her room and was insisting on sleeping with her mom instead of in her own bed. 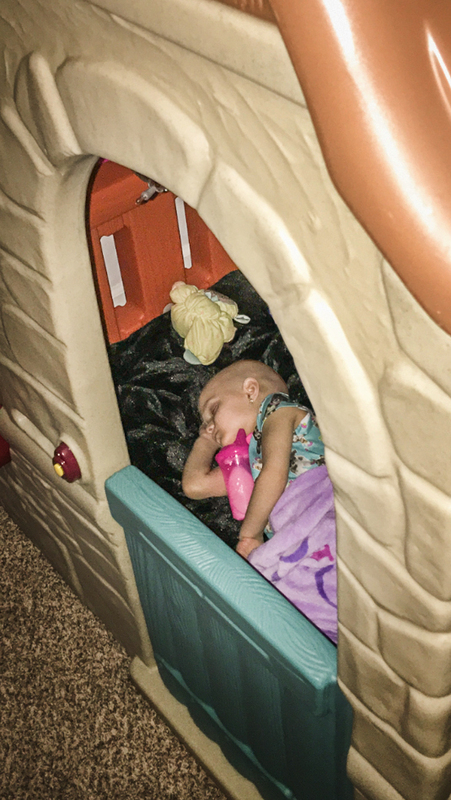 Well, ever since Maylee came home to the little house, which is now in her bedroom, she’s spent every single night in her own room. But not in her bed. She sleeps snuggled up inside her little house! 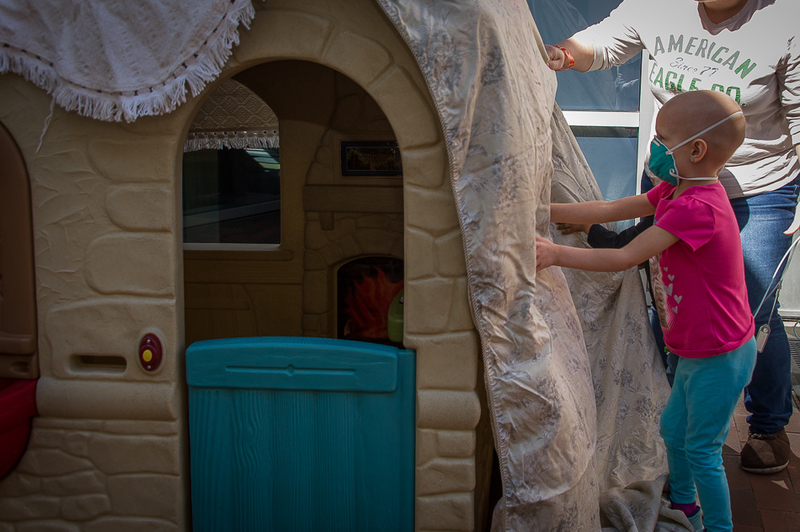 Eventually, Maylee will be too big to sleep in her little house, but we hope the sense of security and confidence it has given her will last a lifetime! Know a kid with cancer? You can nominate him or her to Team Summer! We can do what we do only because of our supporters’ generous donations. 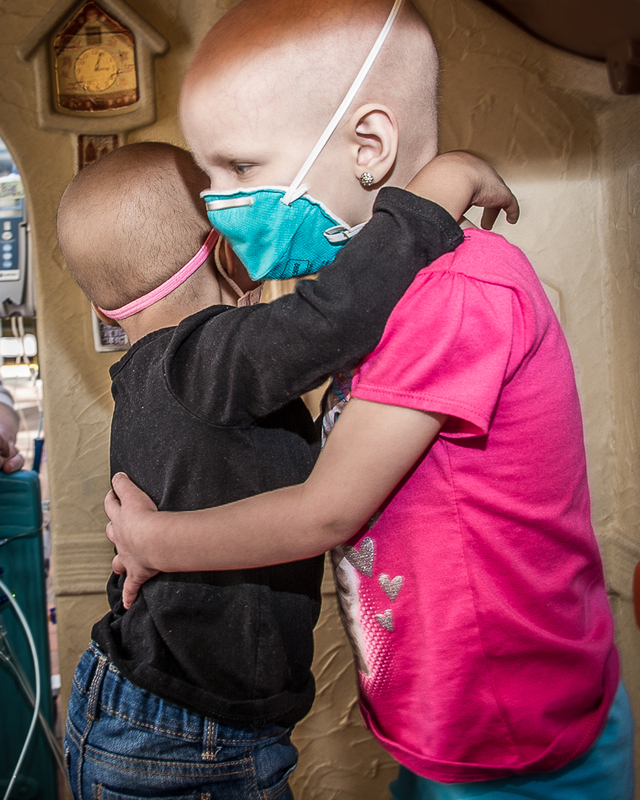 Please help us help kids with cancer by clicking here.